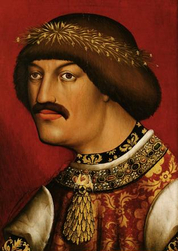 The regesta of the only shortly ruling Roman-German, Hungarian and Bohemian king Albert II (1438-1439) are available in the edition by Günther Hödl from the year 1975. This volum, however, contains not insignificant gaps, at least for the Albertt’s Bohemian and Hungarian territories. While the Hungarian regesta of Albert II will not be edited until in future, the Viennese workgroup started the preparations for a Bohemian-Moravian addendum and supplement of Regesta Imperii XII in 2011. The works are being conducted within the scope of the third-party project “Reign when faced with Hussite wagon forts. The Austrian duke and Roman King Albert V (II) in the Bohemian territories (1421-1439)”, funded by the Austrian Science Fund (FWF). This project primarily aims at filling the Bohemian and Moravian gaps of Hödl, at the same time regesta of Albert’s sovereign deeds from the Czech archives of the years 1411-1437 shall be edited. The inclusion of the sovereign deeds seems reasonable and practicable as they are usually kept in the same archival inventories as the royal deeds and the international research has to a great extent been unaware of them. Within the framework of accompanying research into Albert’s reign in the Bohemian territories, the imperial lien property of the towns Budweis, Znojmo, Jihlava, Jemnice and Pohorelice (from 1421 onwards), the Margrave government in Moravia (from 1423 or spring 1424 onwards) and finally his kingship in Bohemia (1437-1439) shall be analysed. A monograph on Albert’s exercise of rule in the Bohemian territories is planned as a research result. Further research is dedicated to Albert’s Hussite policy in Austria, the wedding between Albert and Elisabeth of Luxemburg and the so-called “Wiener Gesera”, the expulsion of the Jews.